The Best Air Fryer Cookbooks for Vegans This is a fabulous air fryer vegan cookbook Find two hundred fifty plant-based recipes With one of the best new kitchen appliances Low-fat dishes can now be made with ease Portobello mushrooms and eggplant stew Cauliflower crackers and a cauliflower rice Coconut cranberry quinoa plus puddings All of these vegan air fryer recipes are nice Comfort food recipes with half of the calories This vegan cookbook is a food dream come true Use little to no oil in every plant-based recipe These dishes are wholesome and delicious too Make the black bean avocado chimichangas Or the scrumptious Cajun french fry po'boy You will want to try all seventy-five recipes Your air fryer will be your best kitchen toy Coffee donuts with maple cashew cream Crunchy kale bites and the avocado fries Ranch chickpeas and crispy fried pickles Each plant-based recipe is a fun surprise The Effective Plant-Based Air Fryer Cookbook Takes fried vegan cooking to a healthy place Use this vegan cookbook with your air fryer You will not worry about feeding your face Try the delicious vegan noodle curry soup The stuffed sweet potato and spinach dish For Asian vegan recipes without all the oil Asian Vegan Air Fry gives you what you wish Find recipes the whole family will enjoy Warm up your unused air fryer tonight Choose any of these plant-based recipes They're guaranteed to all taste just right Bean cutlets, potato wedges, and curries Vegan croquettes, and the roasted veggies Biscuits, muffins, and great cinnamon rolls You'll love all these air fryer vegan recipes For healthy, ethical, and sustainable living All the Vegan Air Fryer recipes work for you Enjoy healthier home-cooked vegan meals This book is designed to save you time too Top Thank You for Going Vegan Vegan Rhyme vegan rhyme Copyright © 2019. This amazing air-fryer appliance cookbook brings crunchy onion rings, vegetable tempura, and more to your table without making a mess or heating up your kitchen. Lucky for us, someone was smart enough to create this magical device that eliminates all the bad stuff associated with frying foods, but makes yummy foods we can still enjoy. The Vegan Air Fryer cookbook — The Healthier Way to Enjoy Deep-Fried Flavors. This amazing air-fryer appliance cookbook contains 80 recipes, bringing you crunchy onion rings, vegetable tempura, and more to your table without making a mess or heating up your kitchen. How much oil should you use? They all have one thing in common — the recipes are quick, easy, and healthy thanks to your favorite air fryer. Or perhaps you find yourself wishing to relax after a long day rather than slaving away in the kitchen. This book is available in ebook format or as a 192 page paperback. Transfer the potatoes to the large bowl and combine with the cooked kale. Should you thaw it first? In a large skillet, heat the oil over medium-high heat. She went to school to study culinary arts before beginning her impressive professional career, which has included chef positions at Restaurant Foxtrot Oscar, Almeida Restaurant and Bar, and Restaurant Gordon Ramsay. 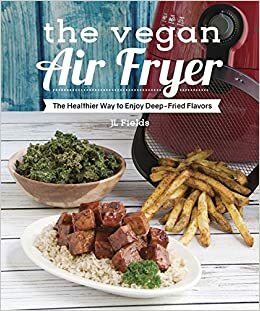 The Vegan Air Fryer: The Healthier Way to Enjoy Deep-Fried Flavors If you enjoy a plant-based diet, you will relish in these 80 recipes designed just for you. The Air Fryer Bible: More Than 200 Healthier Recipes for Your Favorite Foods The term bible can be used to refer to any authoritative collection of writings, and The Air Fryer Bible fits that definition in the realm of recipes. This book includes a wide selection of over 150 vegan recipes. It contains over 100 recipes that take your air fryer from simple air frying to steaming, grilling, roasting, and baking. Hot oil spattering everywhere, making a mess on the stove and smelling up the house for days. Air fryer cookbooks will help you to get the most out of your air fryer by answering these questions and more. The Air Fryer Cookbook: Deep-Fried Flavor Made Easy, Without All the Fat! This amazing air-fryer appliance cookbook brings crunchy onion rings, vegetable tempura, and more to your table without making a mess or heating up your kitchen. If you love fried foods, but don't want the oil, added fat, and mess of frying, then you will want this cookbook. Enjoy your favorite plant-based fried foods without the added fat! Kale and Potato Nuggets These bites may seem naughty but they are really nutritious and, most importantly, tasty! Last updated on 2019-03-21 About the Author Michelle Sanders is a lifelong cook. If so, Skinnytaste One and Done is designed to cater to busy people just like you. She works as a journalist and has published 38 books to date — 37 of them are cookbooks. Place the nuggets in the air fryer and cook for 12 to 15 minutes, until golden brown, shaking at 6 minutes. After a series of family tragedies, she opened her first catering business, The Bag Lady, simultaneously pulling herself and her two sons from the grip of poverty. Recipes include: - Jalapeño Poppers - Vegetable Dumplings - Potato Chips - Eggrolls - Mac 'n' Cheese Bites - Buffalo Cauliflower - Corndogs - Fried Chick'n - Fajitas - Grilled Cheese Sandwiches Air fryers, popular in Europe for years, have taken the U. 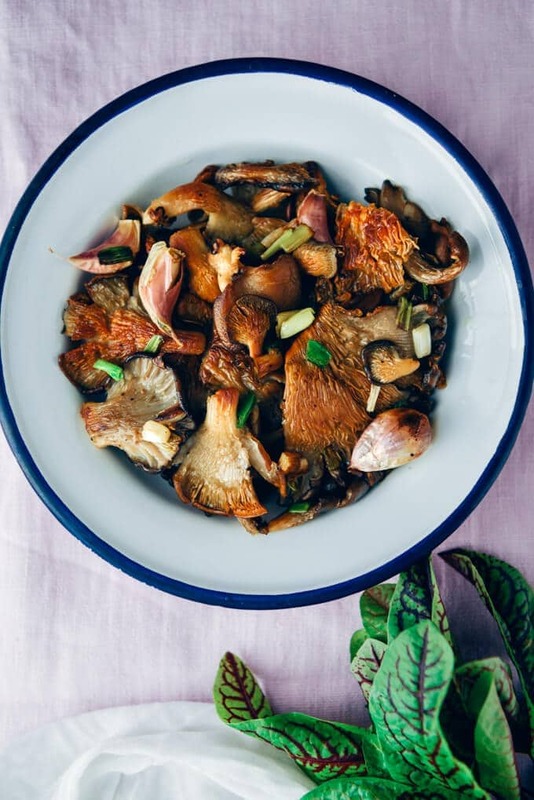 Together, these two cooks, one practical and the other adventurous, have devised a cookbook to help all eat healthy, quickly prepared meals with the aid of an air fryer. Whether new to air frying or looking to add new flavors to your repertoire, Air Fry Genius has something for you. This led to a successful restaurant, cookbooks, television appearances and series, podcasts, and more. Posted by on Friday, June 30, 2017 · Air fryers are the best invention since sliced bread. Recipes are organized by the type of cooker to be used, helping you plan the perfect simple, healthy meal. Add the milk, salt, and pepper and mash with a fork or potato masher. This book is available in ebook format or as a 300 page paperback. Why should you invest in an air fryer cookbook? Also included are air frying safety tips and instructions for proper air fryer storage and care. Gluten free recipes are included. Whip up these sumptuous and crispy dishes in no time, with little to no oil, and without overheating your kitchen this summer. Air Fryer Cookbook: 550 Recipes for Every Day Air Fryer Cookbook is one of the most comprehensive books on the market, featuring over 550 recipes. Fields is the author of several vegan cookbooks as well as host of vegan cooking shows and radio programs. Fields works as a career coach and her writing regularly appears in the Colorado Springs Gazette. Then, dive in to over 100 additional recipes in Air Fry Genius, available as an ebook or a 270 page paperback. This book is available in ebook format, or as a 160 page hardcover with full color photos. The book features around 70 recipes, including 18 recipes for delicious sauces to enhance your air fried meals. Transfer to a large bowl. Deen is the author of nearly 20 cookbooks, with more to come. Serves 4 No-Oil Option: Omit the olive oil. This is a great way to use leftover mashed potatoes—just skip the part about cooking the potatoes and use leftover mashers instead. Drain the cooked potatoes and transfer them to a medium bowl. Last updated on 2019-03-21 About the Author Linda Larsen holds bachelor degrees in biology, food science, and nutrition. 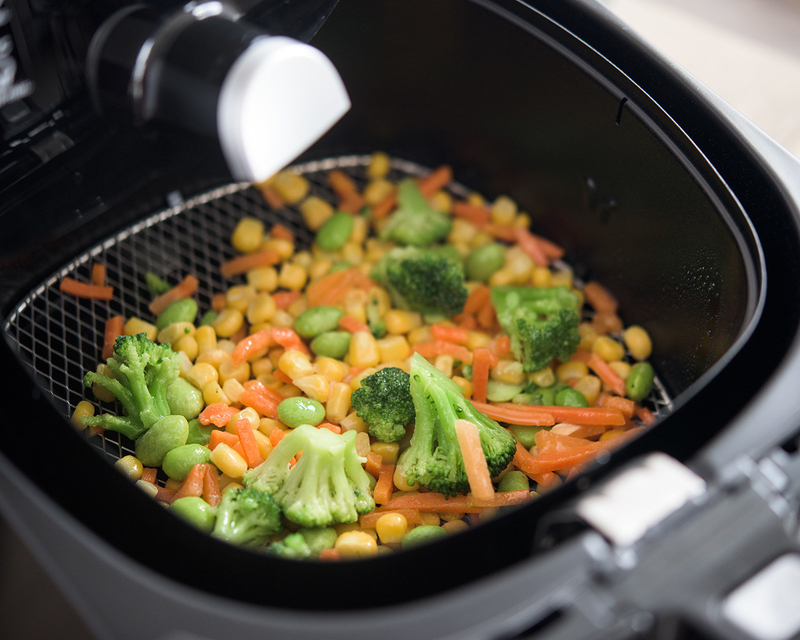 You may wonder, however, how to adjust your favorite recipes for use in your air fryer.